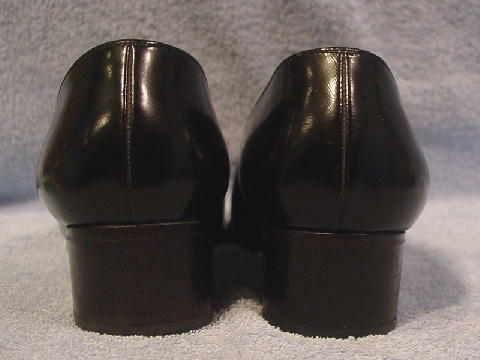 These wide toe black leather vintage shoes are by Bruno Magli and were made in Bologna, Italy. 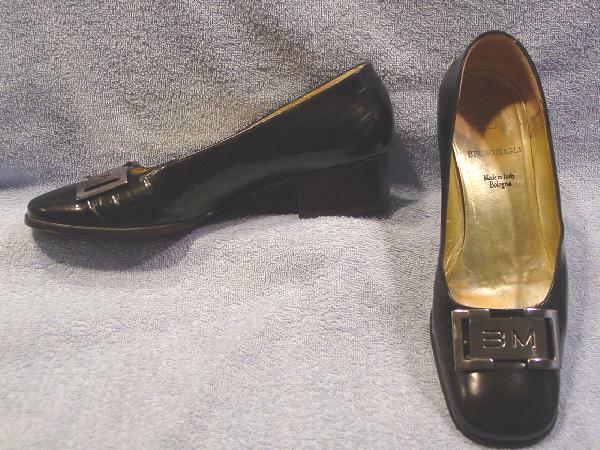 They have gold-tone lame leather linings and insoles. The lame color is wearing off in spots. 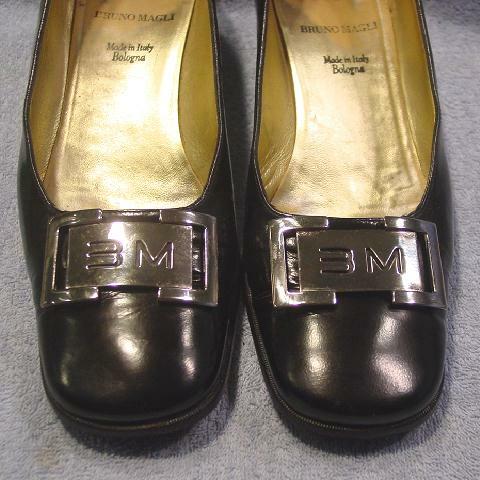 There are silver-tone metal ornaments with a large B M on each one. The ornament on the left shoe has a scuff mark. There are wrinkles below the vamps. 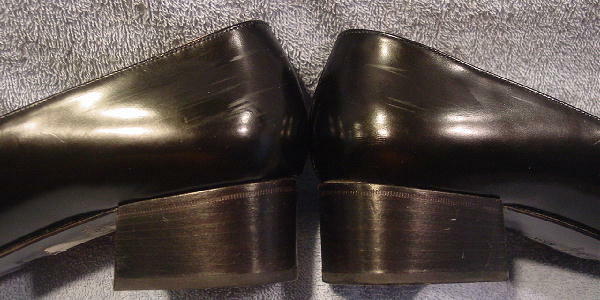 Both shoes have scuff marks and black stacked heels, and the right shoe's outer part of the heel has a zigzag thin line indentation. They fit like a M width.